Founded in 2012, 510ForSale.com is a car and parts ad aggregator focused on displaying Datsun 510 sedans, coupes, wagons and parts across North America. To accomplish these goals we have setup a comprehensive classifieds section to this site and several key resource pages. To see the various resources pages use the black menu. For navigating our classifieds see below. By default we segment our ads by model year and location (i.e. City/Area & State/Region). You can also browse by top level country if you choose. When you click on a model year or specific location you will be presented with the 10 most recent ads in descending order. You can see previous listings by using the page navigation on the bottom. A more powerful tool is to use our Search Box located at the top of the site. This will allow you to narrow down by specific things like body style, engine or other key features. Like with model year and location you will be presented with a list of the most recent ads that meet your criteria. In some cases you may also be presented with one of our resource pages, depending on your search term. Used parts are categorized by themselves and can be found HERE. You can also search for specific parts information using the search box discussed above. Listings on this site are created from one of the following sources. Be sure to take into account the Ad Source field when viewing any listing on this site. It will help you when trying to reach the seller. We keep old, expired and sold listings on this site for reference purposes. 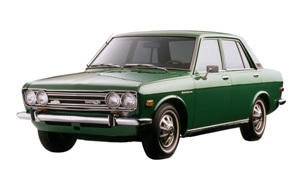 It allows future buyers and sellers to create a fair market value for various condition Datsun 510s. It is also for record keeping and research purposes for 510 owners / enthusiasts. Please take note of both the Last Updated and Original Post date for each listing on our site. While we do our best to mark listings appropriately when they are sold or no longer available; from time to time we miss certain ads. If you have trouble reaching a seller on an older ad it is likely that the seller contact info is no longer valid. We do our best to provide the most accurate seller information, however we are limited to what is provided to us. Should you have troubles reaching any seller it is unlikely that we will have better info for reaching them. Also commenting below ads is encouraged but most ads are not monitored by the seller. For this reason they will likely never see your comment. Contact Us if you find any ad this is sold, no longer available or with non-working seller contact info. Also if you are seller and would like your personal information removed please let us know and we will do so immediately. 510ForSale.com is provided as a resource for sellers of Datsun 510s post their vehicles for sale. 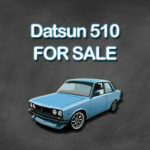 510ForSale.com is a resource and classifieds for Datsun 510 buyers. 510ForSale.com is for educational, instructional, critique and entertainment purposes only. Use of copyrighted materials and other info in the public domain is made available for fair use. 510ForSale.com is not involved in the sale of any vehicle listed on this site. This website is simply a content aggregation tool. This website provides no warranties including the continued operation. The information presented here is not guaranteed to be complete or accurate. For more detailed information check out our Website Disclaimers page.